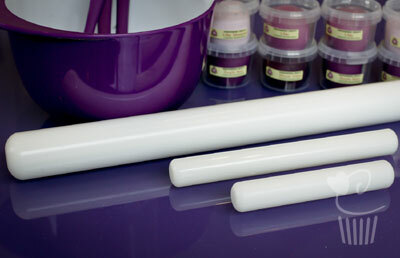 If you haven't used a non stick rolling pin (and board!) before, you will wonder how you ever coped without one! An absolute must in the cupcake kitchen for rolling out florist paste or sugarpaste without any need for icing sugar or cornflour!